David and his son made two custom pieces of furniture for us in cherry and cherry/walnut. 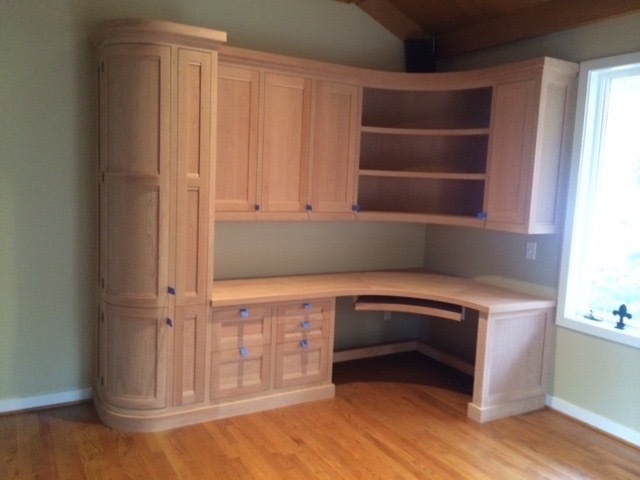 One was a built in desk, storage and library (cherry) for our office, which featured a curved storage tower; and a wonderful dining room buffet (cherry/walnut). Take if from a woodworker, their craftsmanship, quality, and product are superb!